Most fluorescent style light fixtures are for lack of a better term, ugly. This partly due to the need for ballast, the power supply, and the heat the lamps give off. 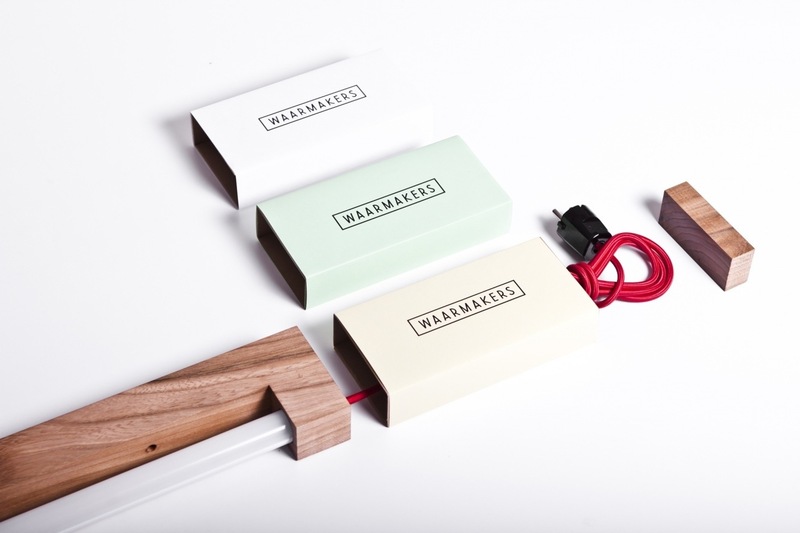 Waarmakers however has created Ninebyfour a tube lamp using LED’s. 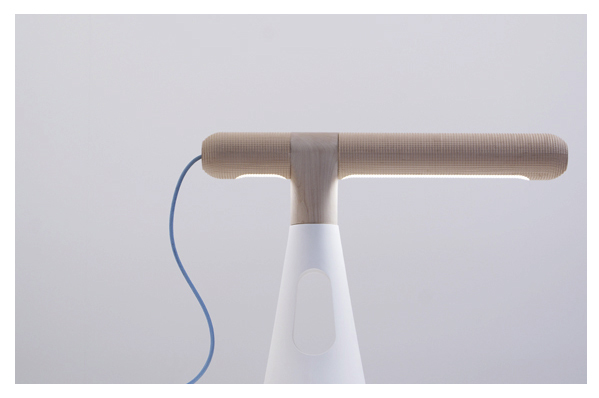 Because they don’t generate heat, or have a large power supply this minimal lamp is quite beautiful, and one made from uncharacteristic materials. 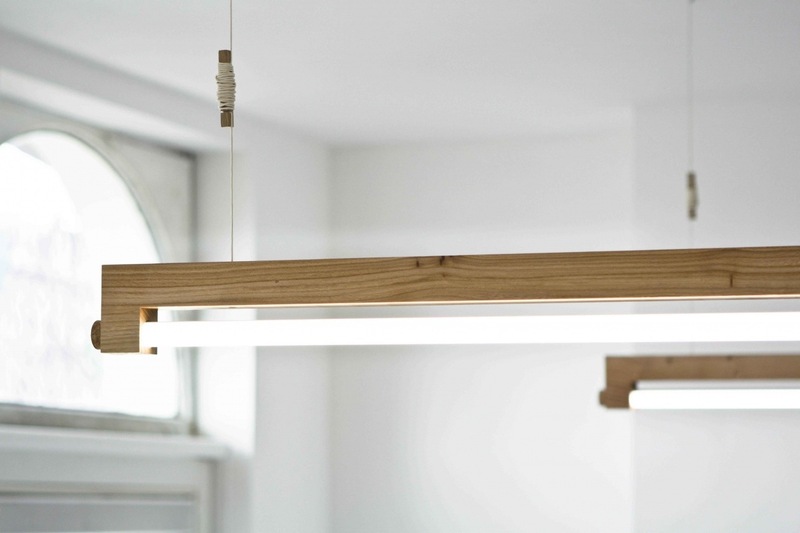 The lamps are designed and built with reclaimed wood that comes from salvaged trees cut down in and around the Amsterdam area. 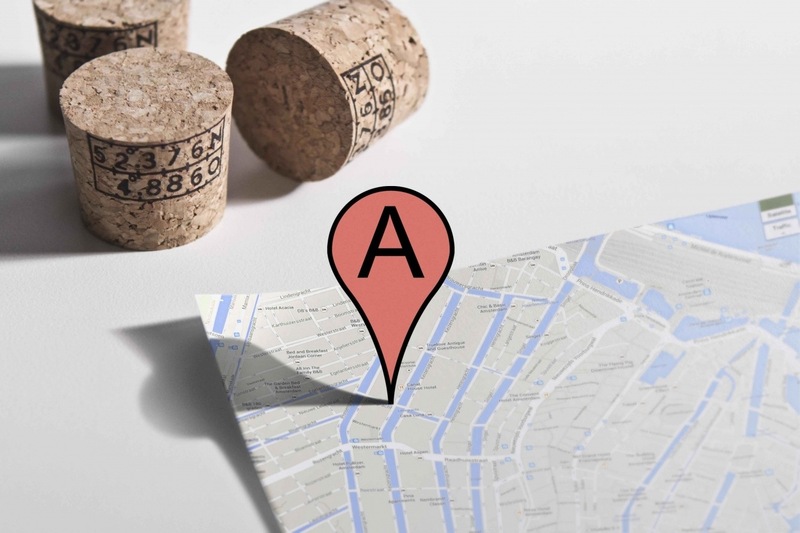 Each lamp comes with a location marker stamped in the cork portion of the fixture. If you enter the coordinates in Google Maps, the origin of your lamps source tree shows up. 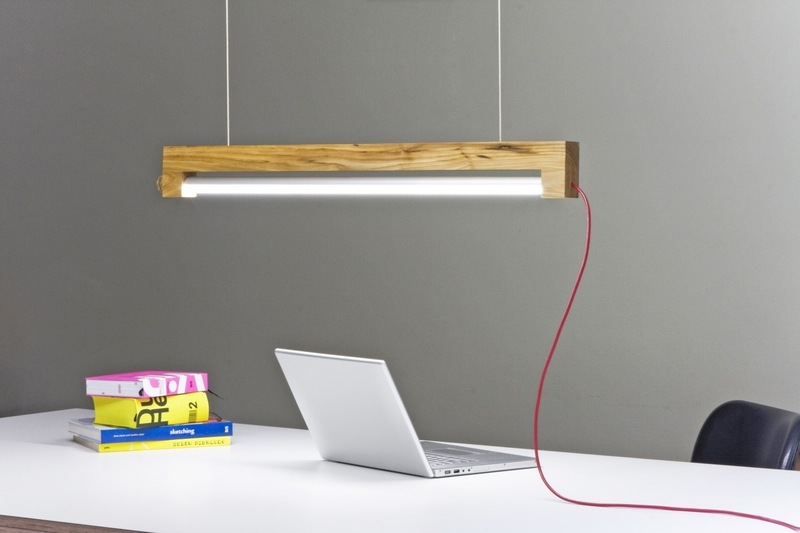 Posted in Design and Art, Lighting and tagged Amsterdam, Design, Holland, Industrial Design, LED, LED Lighting, Lighting, Netherlands, Technology, Waarmakers on January 5, 2014 by Author. 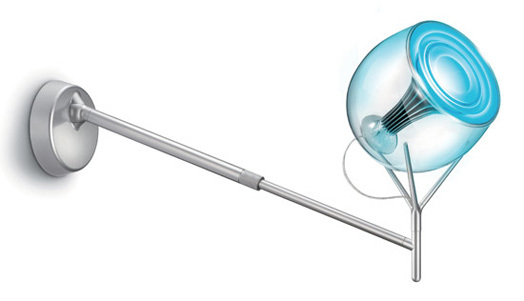 Philips and Apple Team Up To Make Your House Smarter and Brighter. I really like the idea of using LED light bulbs in my house. I just wish they weren’t so expensive. What I might start doing is replacing them one at a time in order to keep the cost down, and make my house greener. A few months back Philips introduced a new LED light that is now going to be carried exclusively in Apple stores around the world. 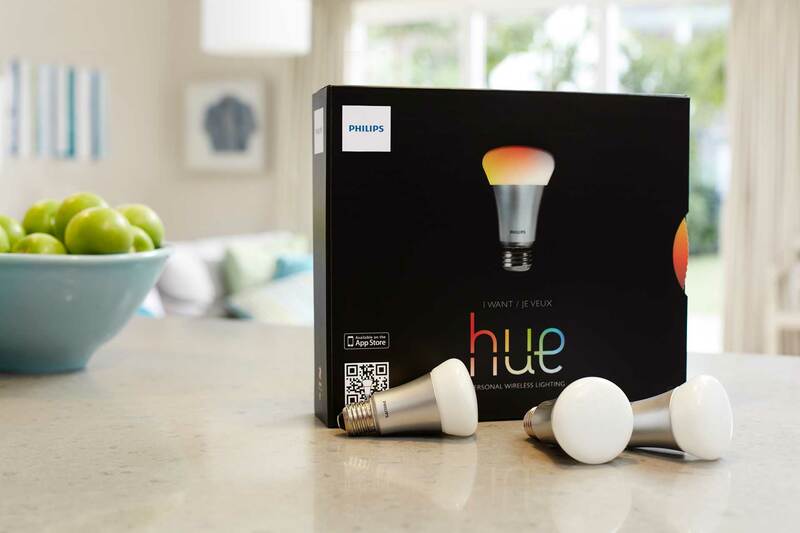 The Philips Hue is a smart LED bulb that aims to shake up the home automation market by allowing the bulb to be controlled via a smartphone app that runs on iOS and Android. With support for up to 50 bulbs, Philips Hue offers up to 80 percent less power than a traditional bulb, lasts up to 15 years, and changes color. The cost will set you back a bit though, with each bulb costing $59.00. 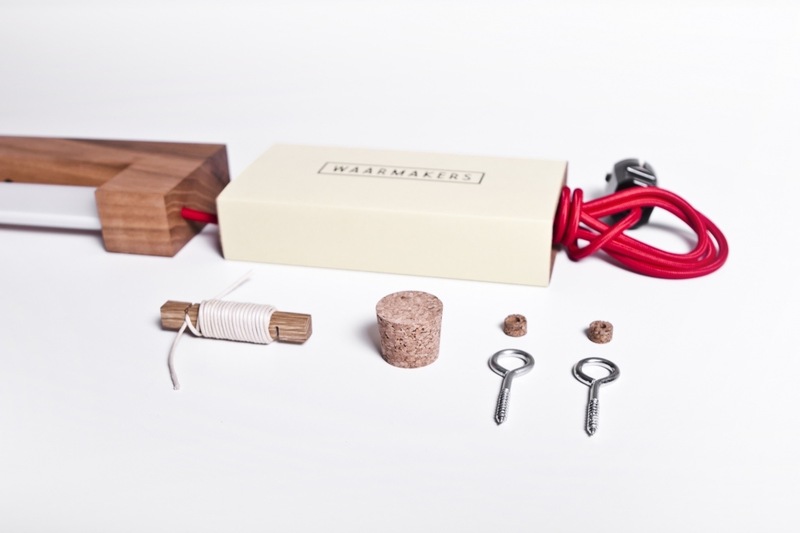 When the bulbs go on sale tomorrow, you will be able to buy them in starter pack sets of 3 which includes a bridge, that connects the bulbs to your wireless router and with each other using the open ZigBee Light Link standard. 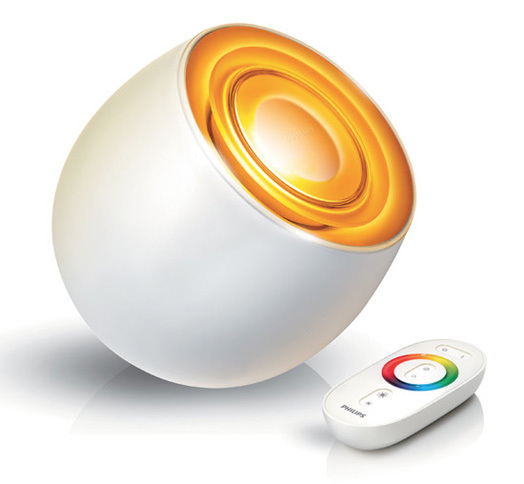 Once you have the bulbs connected, they link with the Hue smartphone and tablet apps. Using the smartphone app, users can personalize their lighting settings, program times and utilize Philips “LightRecipes” to set the mood for your house or room at a specific time. 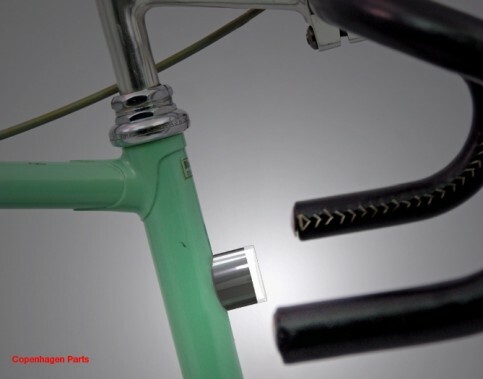 Magnetic bike by Copenhagen Parts. A little over a week ago my friend Markus showed me the new Civia bike he purchased for his daily commute to work. The thing is a beauty, and I have to admit that I’m a little jealous. The thing is since I have been suffering from reoccurring mild episodes of vertigo, I doubt I’ll be biking anywhere for awhile. The point of all of this is, that while perusing bike websites for that day that I can ride without falling over, I came across Magnetic Bike Lights from Copenhagen Parts. What a great idea. 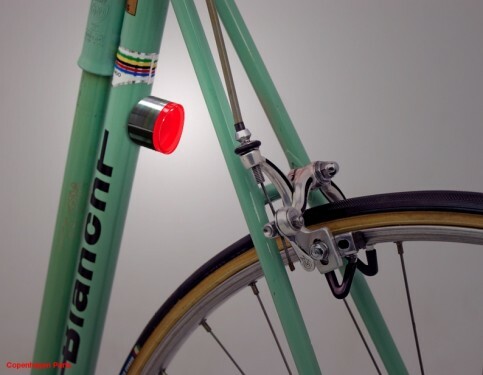 No drilling, bolting, or ugly hardware to attach the light to your bike. 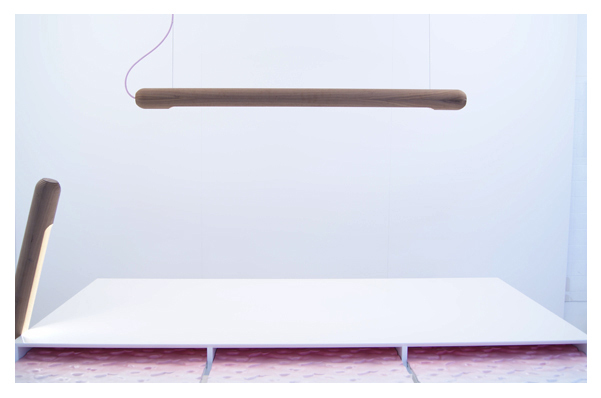 The magnetic lights are designed to fit on any tubular steel frame. (Sorry carbon fiber, titanium, or aluminum frame owners, your non-ferrous metal frames won’t work.) The lights turn on automatically when attached, and turn off when removed from the frame. The lights use a battery driven LED which is mounted behind a lens that is designed to illuminate from the sides as well as straight ahead. This helps increase visibility to other bicyclist and motor vehicles you’ll be sharing the road with. 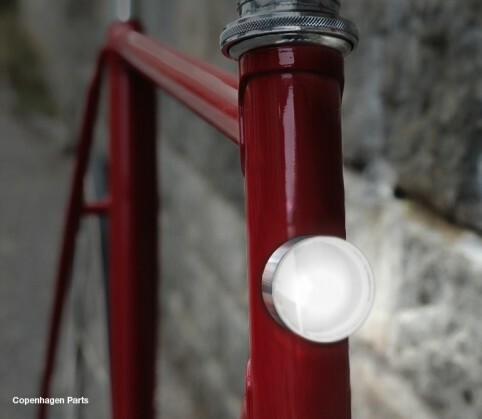 The lights are expected to be released this fall, and you can pre-order them here preorder@copenhagenparts.com. Light Up Friday Afternoon with “Rima”. For the last 4 days I have been working on a heavy animation piece that at times makes my eyes spin. It’s partly due to the red and white patterns I am animating, and partly due to the low light that I work in. This might explain my obsession of late with lighting fixtures and lamps, although I doubt it. This afternoon while rendering a section of footage I took some time to cruise through a number of design/manufacturing sites, and I came across this wonderful desk lamp from Dreipuls. Rima absolutely knocked me over when I saw the images and video on the Dreipuls website. 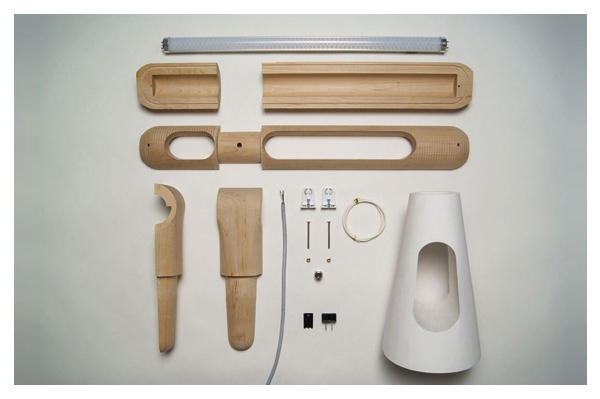 The lamp is elegant, clean, and feels like something Dieter Rams would have designed for Braun back in the day. 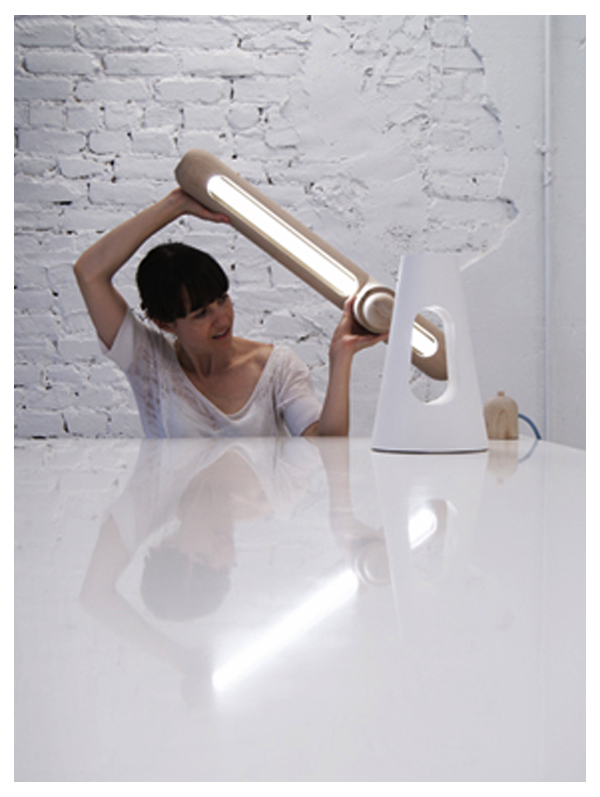 Rima is a unique lamp that allows the user to adjust lighting by moving light, not the lamp to the desired location. This is made possible by several series-connected LEDs which are controlled by moving rings on a processor which controls the light. The position of each ring controls the amount of power given to each LED bank within the lamp, the angle of each LED, the color of the light, and light intensity. 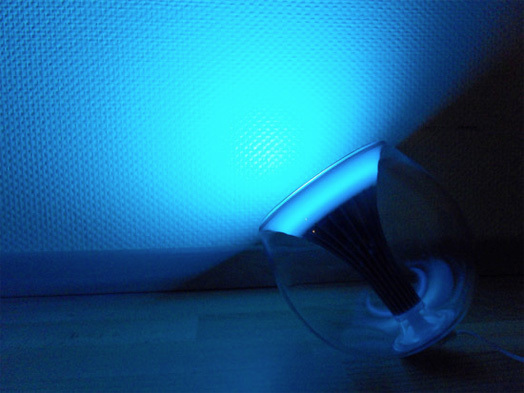 This allows whoever is using the lamp to vary each LED group in a multitude of ways. Posted in Lighting and tagged Braun, Dieter Rams, Dreipuls, Innovation, LED, LED Lighting, Rima on March 2, 2012 by Author. FSIGN LED Lights Are Just What I Need, Almost. I have been looking for an exterior lighting solution for the house for about a year now. I need to find something that works with the architecture, and blends in with the lines of the house. YOu would think that this is an easy thing to find but it really isn’t. Today I got really excited about a new series of light s from FSIGN, but unfortunately they aren’t available in an outdoor form factor. The lights are strictly for indoor use only, the good thing is this gives me hope that I’ll find or hopefully FSIGN will make these available for outdoor use. 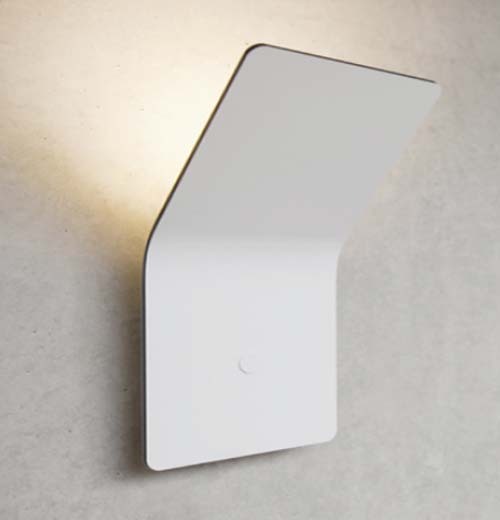 German design firm FSIGN has embraced the use of LED lighting and created the one.LED series of lights that are simple flat slabs of bent metal. one.LED lighting family is made with an aluminium bonded body, which helps transfer the thermal energy created into light, for the absolute minimum of waste heat generation. With each LED drawing a mere 1/4 watt each to run, the lights draw from 5 to 10 watts depending on the configuration. As well as being drop-dead gorgeous, FSIGN’s warm, sharp clean light is as powerful as a halogen light, but takes five times less power to run than halogens and cuts energy use 80%, making these LEED certified lighting winners. Posted in Lighting and tagged FSIGN, Green Lighting LEED Certified, LED Lighting on July 31, 2010 by Author. Truncheon Lamps, Light Your Way, Don’t Beat You Down. New York based design studio “Cmmmnwlth“, designers Zoe and David are a duo of designers that fit squarely between brilliant product designers and artist. They are part of that new crop of emerging designers that can’t be easily pigeonholed into a convenient, easily defined role. 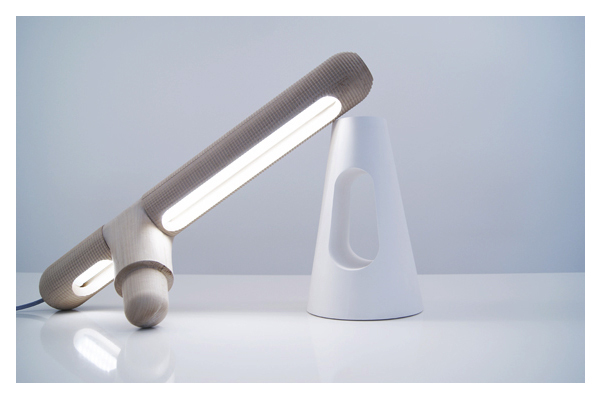 The two, have a unique, succinct language that helps to set them apart, and this shows so well with the “Truncheons” collection of lamps being released through MatterMade. The series includes a pendent lamp, a free-standing one to be leaned against a wall and a desk lamp that rotates freely in its gypsum and marble base. 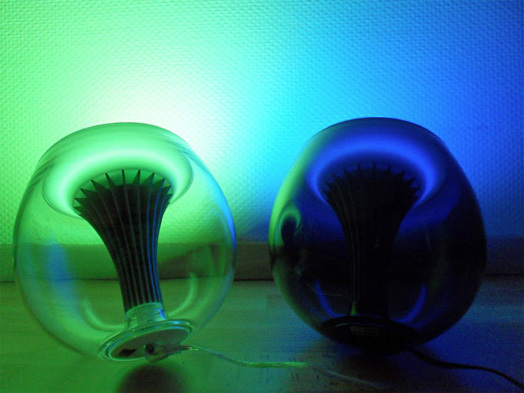 Each lamp holds an LED bulb which is warm in color, yet cool to the touch. 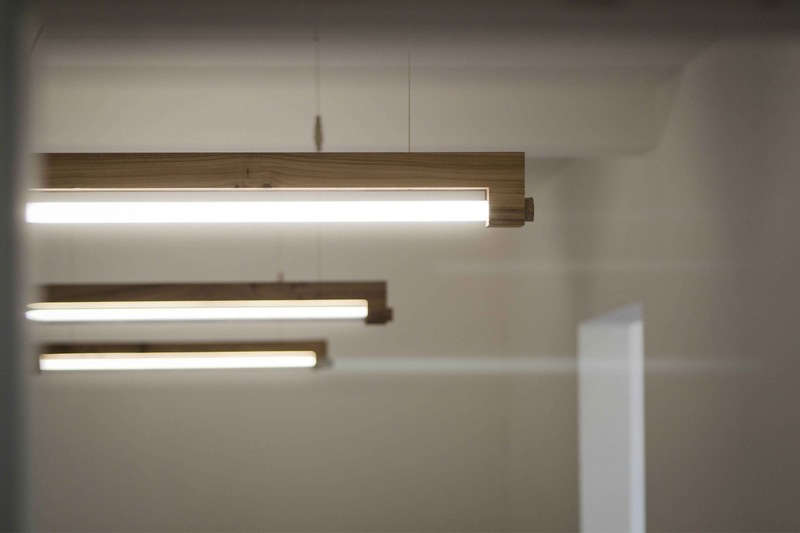 When viewed indirectly from the lamp’s interior hardwood surfaces, the light is rich in quality while maintaining the efficient characteristics that has driven the development of LED light. 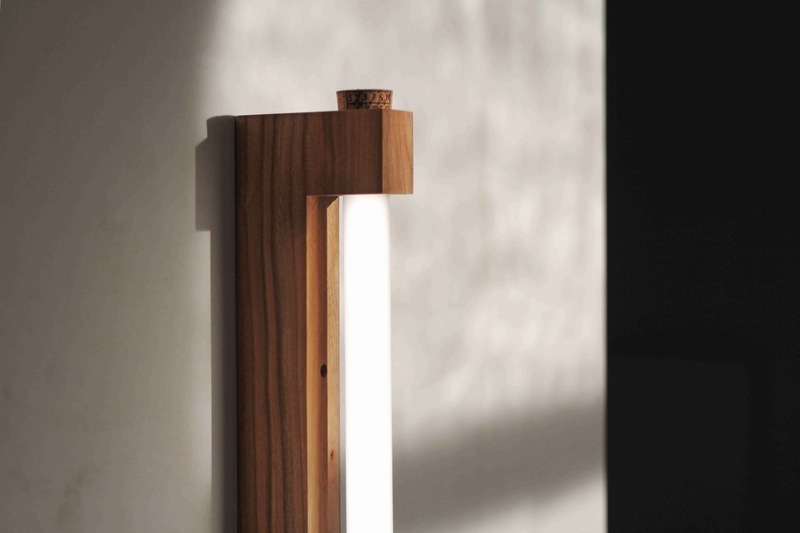 The wooden components of the lamps are CNC lathe turned and the surface maintains a delicate metered scallop which creates a soft interplay with the walnut or maple wood grain. 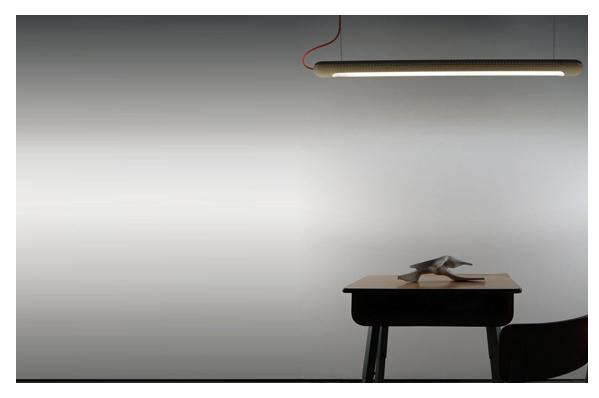 The Truncheon desk lamp is perched on a poured, weighted base of gypsum and marble. 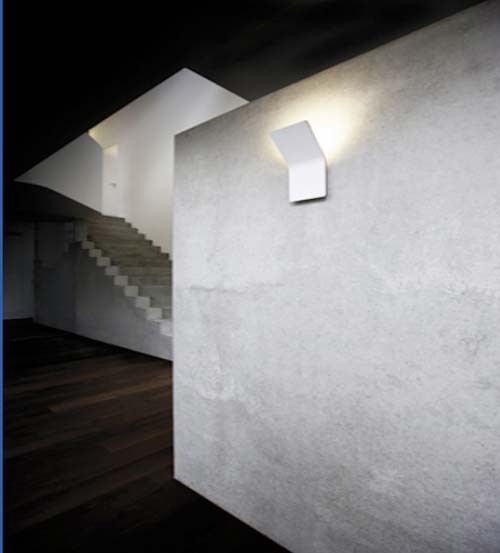 This base, free of electrical components allows the arm of the lamp to make a soft rotation. Avoiding unnecessary knobs or switches, the Truncheons adhere to their namesake- precise, compact sticks fashioned out of traditional materials. 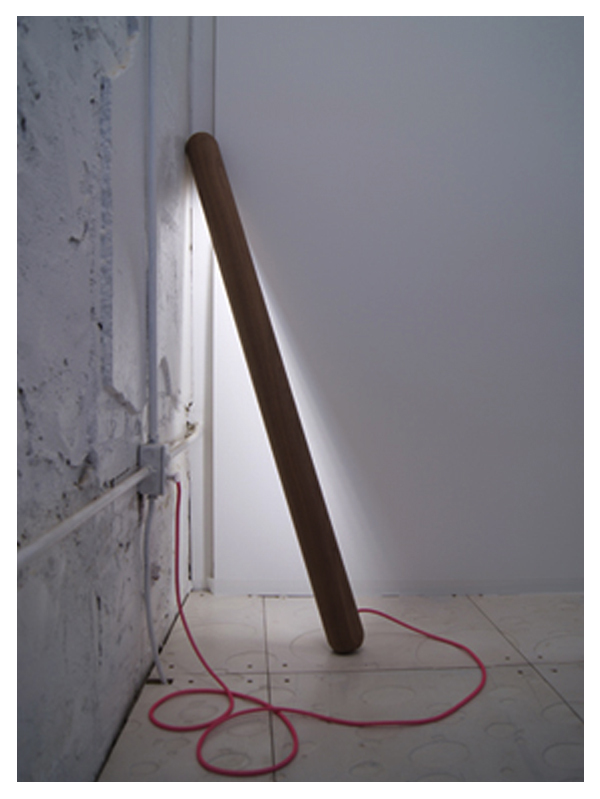 Posted in Design and Art, Lighting, Technology and tagged Cmmnwlth, Lamps, Lathe Turned Wood, LED Lighting, Truncheons on July 12, 2010 by Author. 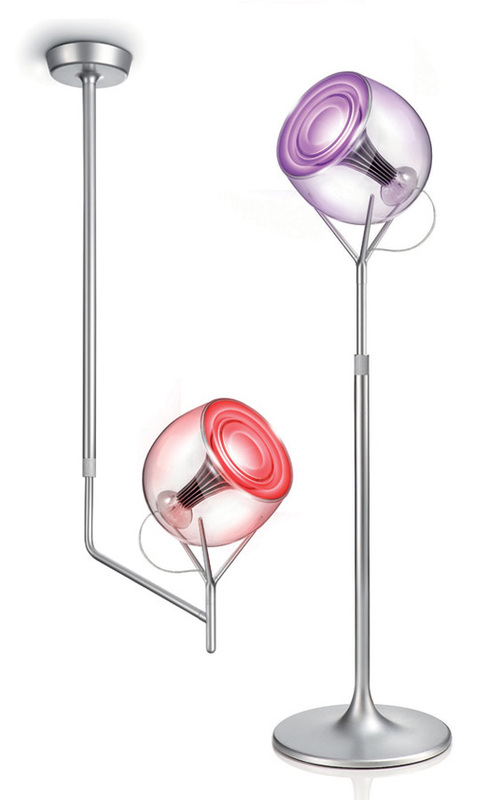 About a month ago, Philips Electronics announced the second generation LivingColors lamps which should be available later this year. Each light contains 7 LEDs which are 50% brighter than the original LivingColor lamps. Because of this the lamps can produce 16 million color variations, all of which are controlled via a remote. The primary function of the lamp is to create ambient lighting for a room by washing walls and floors with specific color schemes. So think of this as 21st century mood lighting. What would be interesting to see is if there is a way to set the lamps to cycle through a set of colors over time. In addition to color, the can also produce a perfectly white balanced light that could be used for reading, or general lighting uses in any room. There are 4 different kinds of lamps: a standing lamp, a wall lamp and two ceiling lamps. Each kind will be available in 5 models: Black, Crystal, White Gloss, Floral and Mineral. 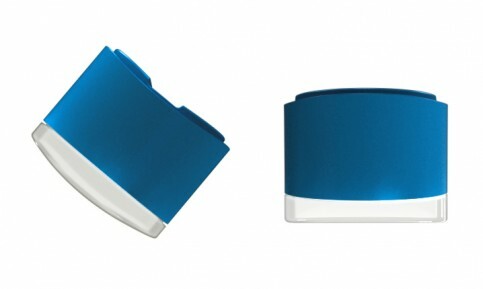 All lamps will come with remotes and will cost from $226 to $353. 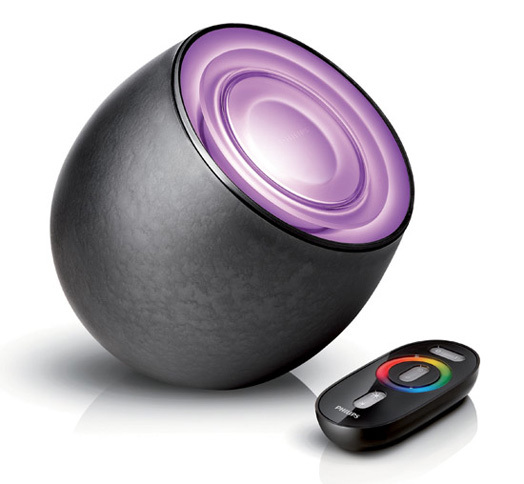 You know what would be really cool, is if Philips came out with a light/speaker solution like the Klipsch Light Speaker, and combined it with this housing. Hmmmm. Posted in Architecture, Design and Art, Lighting and tagged LED, LED Lighting, LivingColors lamps, Mood Lighting, Philips Electronics on February 16, 2010 by Author.